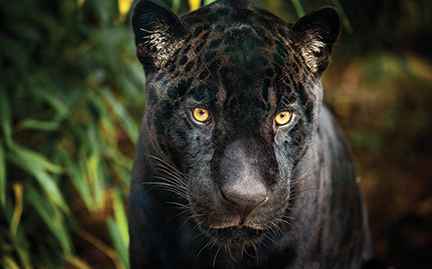 The term “black panther” may be applied to several types of great cat, but in the Amazon it refers to jaguars. Not a separate species, but a rare color variant, black jaguars are powerful hunters and play a vital role within their ecosystem. Unfortunately, like all jaguars, this color variation of the species is just as susceptible to threats like habitat loss.